The Blog has been steering clear of Makeup Looks or Face of the Day. Well I'm breaking all the rules. I have had this Maybelline Color Tattoo in 20. Painted Purple, free stuff on some unnoted amount. I wore it just once, but with the onset of Spring I had a look panned out in my head. But the end result turned out better! Since this is a Day Time Spring Makeup, I kept it simple, subtle and refrained from 'smoking' out the edges. I wanted to do something 'warm cheery yet mindful' look. I have seen Purple & Pink combinations, all the time. I really wanted to try Bright Orange and Purple and make it look wearable. I would not dare to wear a medium to full coverage foundation, as I did in this look. I started off by priming my eyelids and letting the base set for a minute. 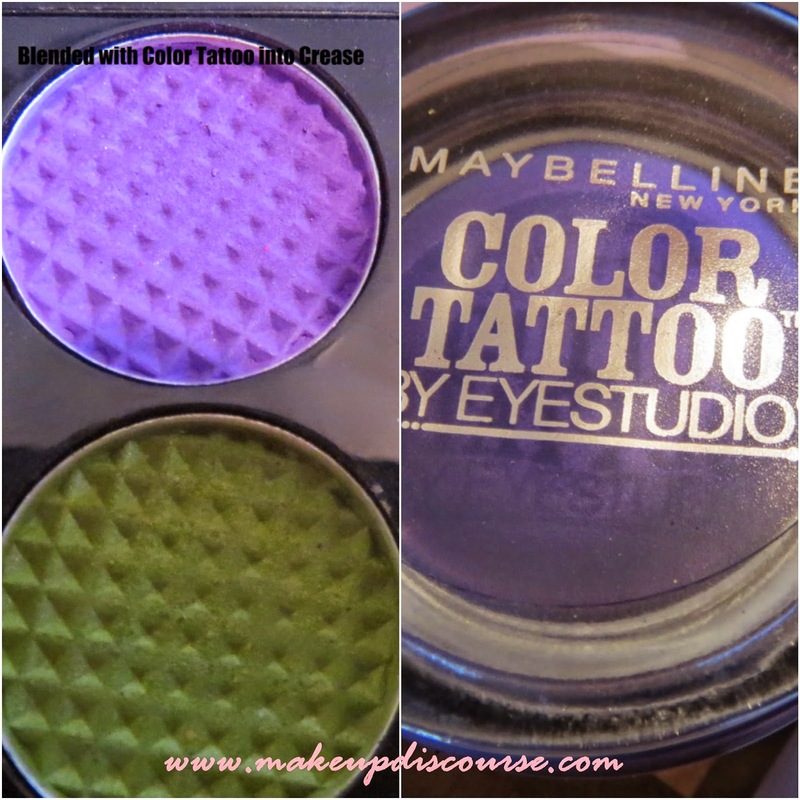 I went over the entire eyelid with Maybelline Color Tattoo and blended the harsh edges. I blended as soon as I applied the eye shadow. 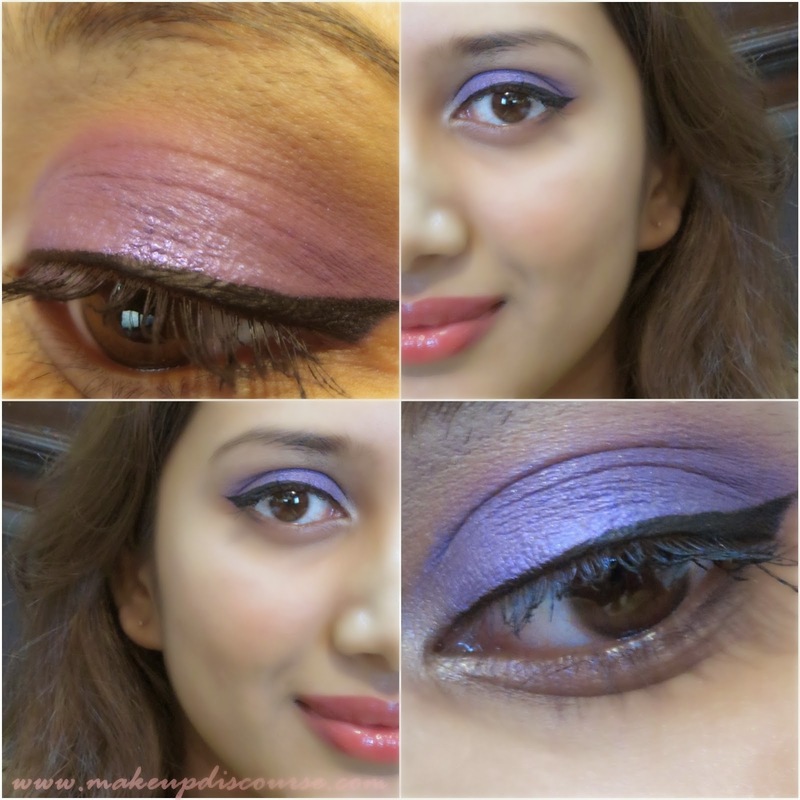 I blended the Purple eye shadow from Sleek Acid into the crease. 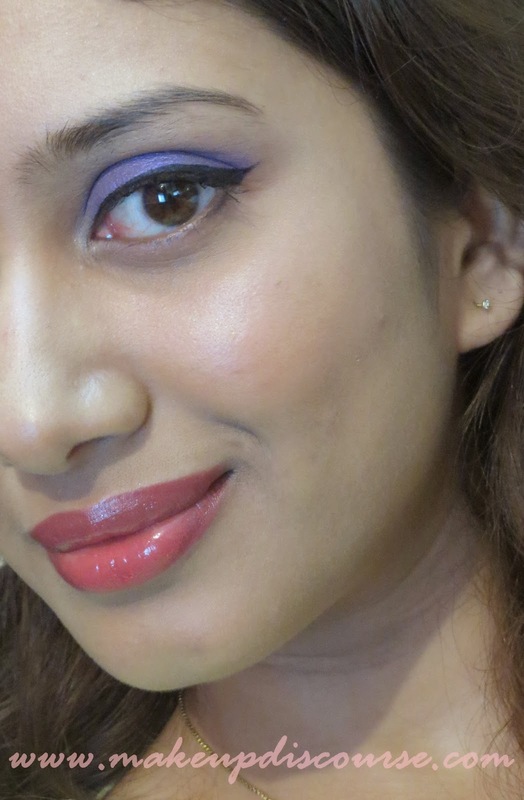 To add a transition, I used the marked Brown Colour and blended seamlessly above the Purple. I added the Highlighter in the inner corner and used a Matte Highlighter for eyebrows. I used a card for the first time to map out my wing, I prefer the freedom. I kept the wing subtle and non dramatic, extending it to 1/4th of my lower lash line to add an illusion of elongation. And then did rest of my face. P.S. Pardon my ungroomed eyebrows.